The Wind Rises - Real life characters study, a photo by david.jack on Flickr. Study of the real life characters used by Miyazaki's movie "The Wind Rises". 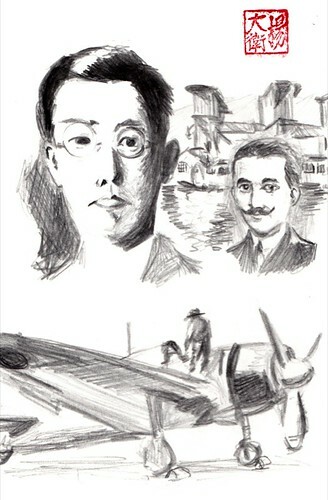 Two of the main character, the aeronautical engineers Jiro Horikoshi and Caproni and his creations the Mitsubishi A6M Zero and the Caproni CA60.